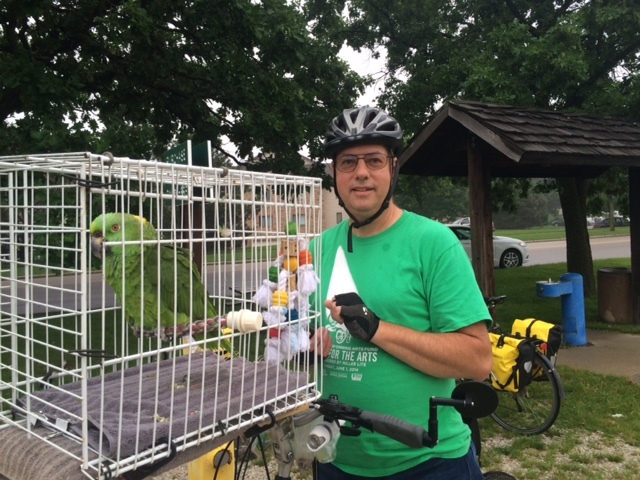 My warmshowers host Herb and his parrot Barney rode me out of New Berlin at 6:20 a.m. 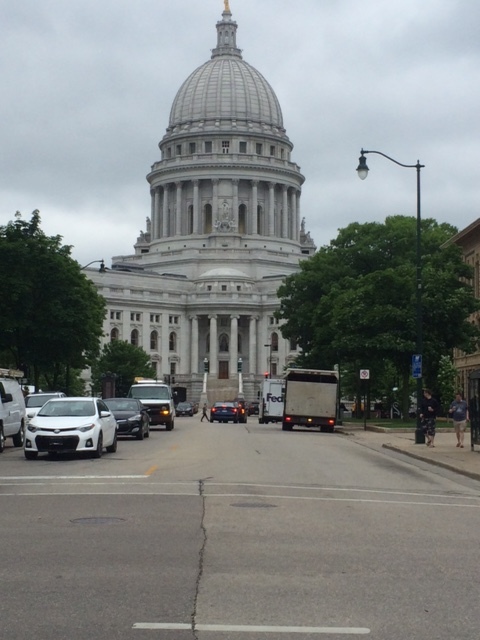 They brought me though Waukesha, and got me started on the Glacial Drumlin Trial for my 70 mile ride to Madison and 2:30 p.m. appointment with the Director of Wisconsin Veteran’s Museum. Along the way Herb told me about Kevlar tires – he hasn’t had a flat in over 40,000 miles. In one of life’s odd coincidences, as soon as l learned about Kevlar, I really needed it. After twenty miles the trail turns to crushed stone and grey skies delivered rain, so I was riding in mud. When they trail came parallel to U.S. 18 I switched to the highway, which had little traffic and a good shoulder. A few miles later I got a flat. 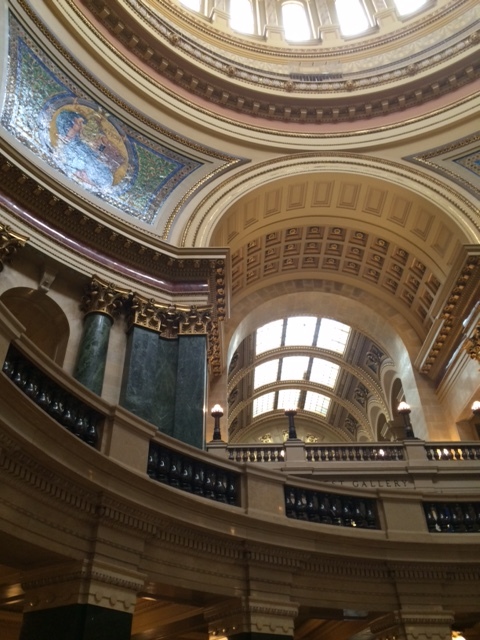 The repair meant ‘d have to grab a quick lunch rather than a sit-down meal in order to make it to Madison. Then I got a second flat. I was super fast in this repair, but when I pumped up the new tube, the valve snapped: flat number three, and I was out of tubes. I packed up my pannieres and stuck out my thumb, thankful to be on U.S 18 instead of the desolate bike trail. 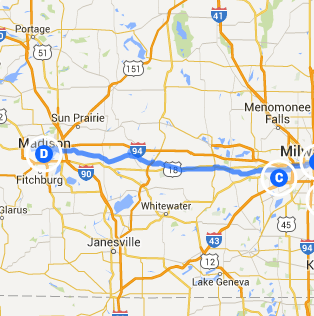 Within half an hour a Samaritan stopped, loaded my bike in her SUV, and drove me to a bike shop in Madison. I called in advance, and when I arrived Bryce replaced my tire (with Kevlar! ), hung a new chain, checked everything else, and replenished my spare tubes. Total cost, including gas money for my Samaritan – less than $200. 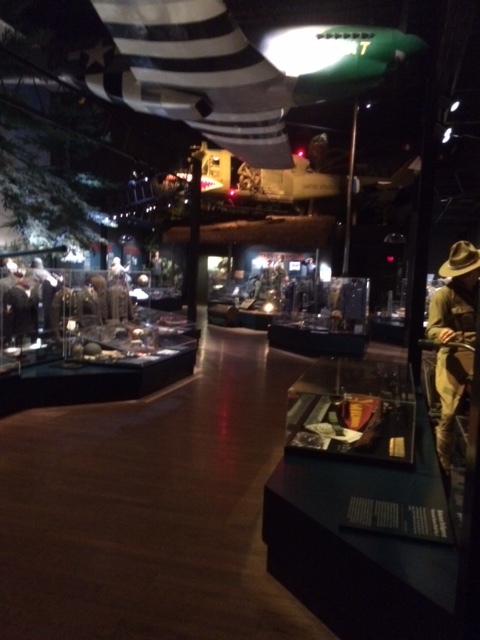 And I arrived at the Veteran’s Museum half hour early. 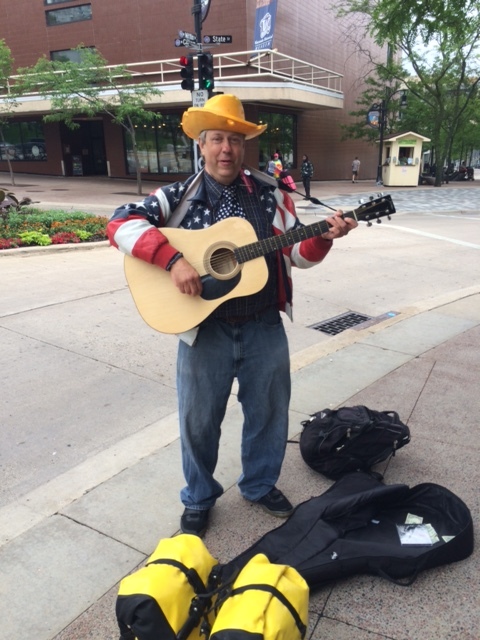 After my meeting, I spent the afternoon touring the Museum’s exhibits, the gorgeous State Capital Building, and chatting up Madison characters, like Art Paul Schlosher, who serenaded me with a bicycle song. Jean and Jon, my Madison warmshowers hosts, served a delicious dinner of fresh fish, potatoes, and salad from their garden; finished off with homemade raspberry sorbet and chocolate chop cookies. We ate and talked while we watched the U.S. Women’s Soccer team tie Sweden in a World Cup match.